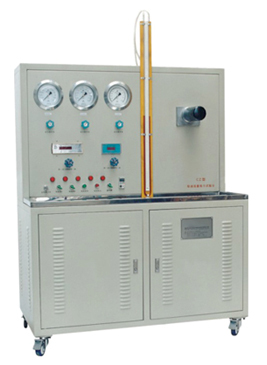 It is used to test the flow-resistance and cleanliness of the fuel filters. 1.Equipped two 0.8¦Ìm stainless steel precise filters to ensure the testing oil cleanness. 2.Use U-type pressure meter and precise pressure gauge to measure the pressure difference. 3.Use excellent copper pipelines and coupler, as well as forward type stainless steel working table. All the joint elements are treated with rust resistance.